Are Bacteria Living In Healthy Brains? Author SimaPublished on November 30, 2018 November 30, 2018 Leave a comment on Are Bacteria Living In Healthy Brains? Are bacteria living in healthy human brains? It has long been thought that the brain is protected by the blood-brain barrier, that the brain is sterile (bacteria are not normally there), and if there are bacteria in the brain, then that means a serious disease (e.g. meningitis). However, the research team of Rosalind Roberts, Charlene Farmer, and Courtney Walker (at the University of Alabama) found bacteria in the brains they studied with electron microscopes. The brains showed no inflammation (thus the bacteria were not pathogenic), and modern tests (genetic sequencing) showed that they were gut bacteria. Which means they got there from the gut. If further research supports their findings, then this would be a paradigm shift - a new way of thinking about the brain and microbes. 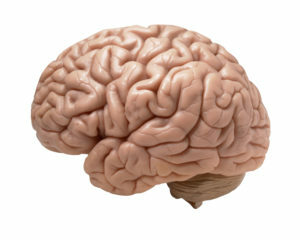 ...continue reading "Are Bacteria Living In Healthy Brains?" Published on November 30, 2018 November 30, 2018 Categories brain, human microbiomeTags blood-brain barrier, brain-gut axisLeave a comment on Are Bacteria Living In Healthy Brains?